The school rock band pumped up students and teachers as they filed out onto the playground at Andrew Jackson Elementary in Philadelphia. They thought they were there for an assembly to celebrate the band. But they would soon find out that the band was just the opening act for a big surprise. Mary Ellen Mathis (center) helps her Amazon co-workers to pack up boxes of donations bound for Andrew Jackson Elementary in Philadelphia. Amazon fulfillment center associates in Lewisberry, Pennsylvania get ready to load donations for an event at a local school. Amazon employees line up to pack school supplies and other donations bound for Andrew Jackson Elementary. Kids and teachers during the Amazon donation event at Andrew Jackson Elementary. An Amazon employee labels a box for a school donation event. Mathis and fellow Amazonians high five during preparations for a school donation event. 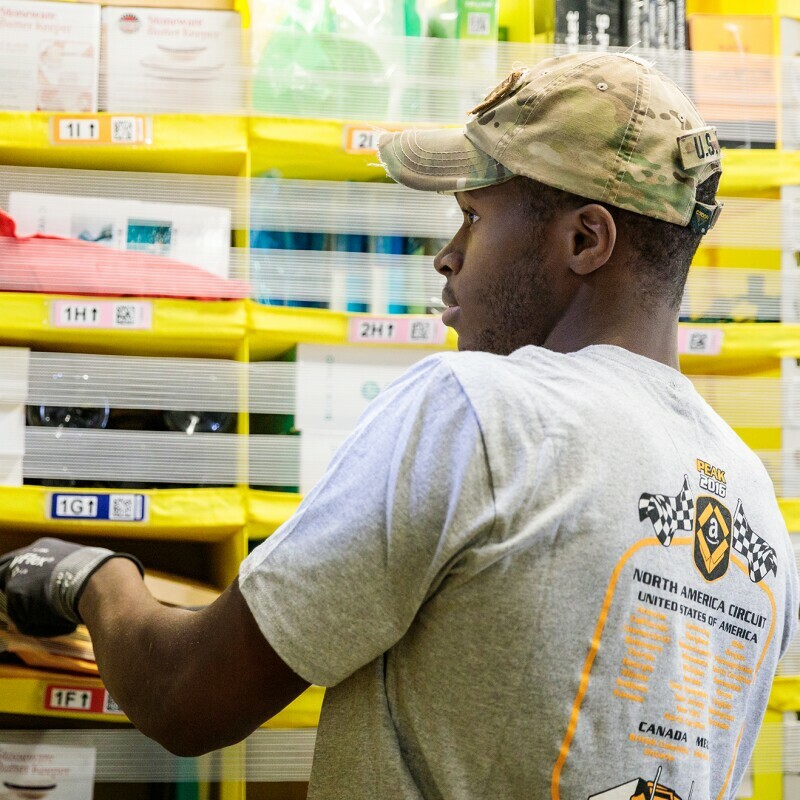 Just around the corner, about 100 Amazon associates from five area fulfillment centers were waiting for their cue. “These kids have no idea that we’re coming,” said Mary Ellen Mathis, who coordinates Amazon community events throughout Pennsylvania. It’s the kind of event Mathis lives for — surprising schools, shelters, and other non-profits in communities where Amazon lives and works with product donations. On this day, the special delivery was for Andrew Jackson Elementary. Two Amazon delivery vans full of packages pulled up to the playground where Amazon volunteers unloaded box after box, each one containing school supplies that fulfilled teacher wish lists. The $25,000 donation included everything from Kindles to microscopes, crayons, and notebooks, even a new digital piano for the music program. You feel so hopeful, so joyful to be part of helping this community that needs it. The team identified a need at Andrew Jackson Elementary in South Philadelphia. Teacher Danielle Harrigan included a document camera (a real-time image capture device) on her wish list. With 30 students in her class, it can be hard for students to see what she’s doing. 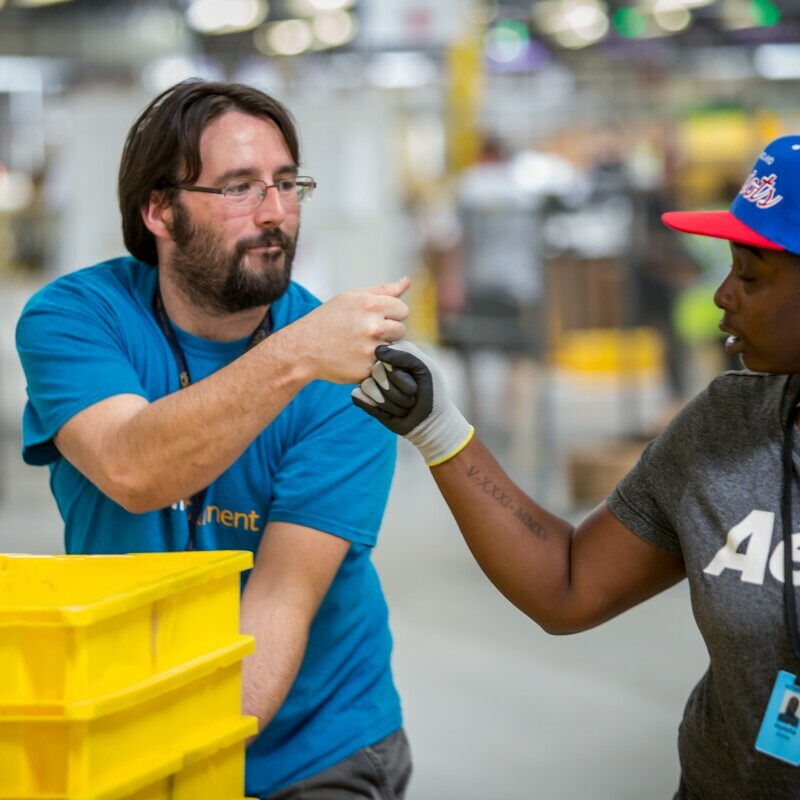 Amazon is committed to communities where employees live and work. In addition to product donations, the company contributes financially to tens of thousands of nonprofits across the United States and Canada through AmazonSmile. Amazon employees wave and cheer during the donation event at Andrew Jackson Elementary.